I've owned a Nescafe Dolce Gusto coffee machine since June this year, and it's been a total game changer. Not only is it wonderfully luxurious making barista-quality coffees at home, it's also saved me some serious dollar, especially now I've invested in jazzy pink a Keepcup for my morning tube journeys. 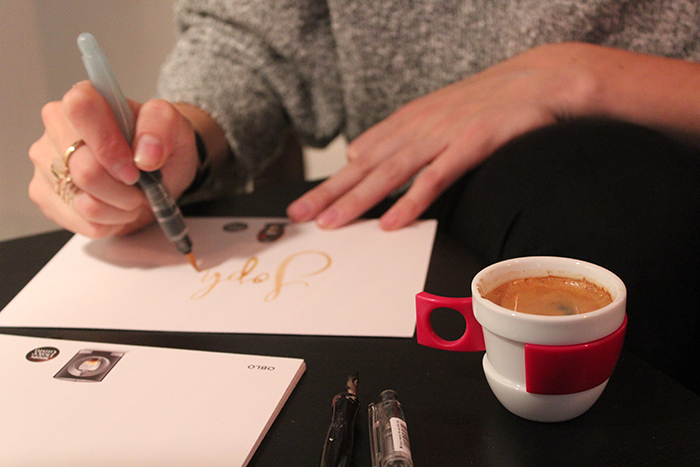 So what is the link between coffee and calligraphy? 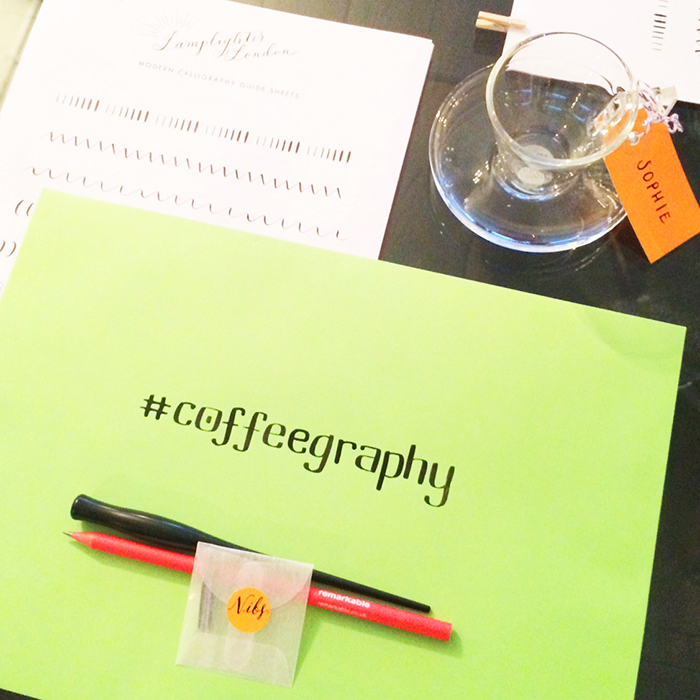 Simples, Coffeegraphy of course [aka calligraphy using a freshly brewed espresso instead of ink]. It came as a surprise to me to find that coffee lends itself beautifully to calligraphy, leaving an attractive antiqued stain on paper. 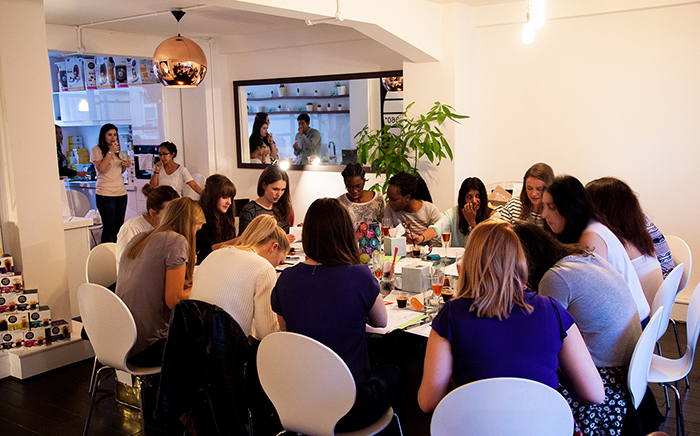 Our teacher for the workshop was the talented Chiara, also know as Lamplighter London. 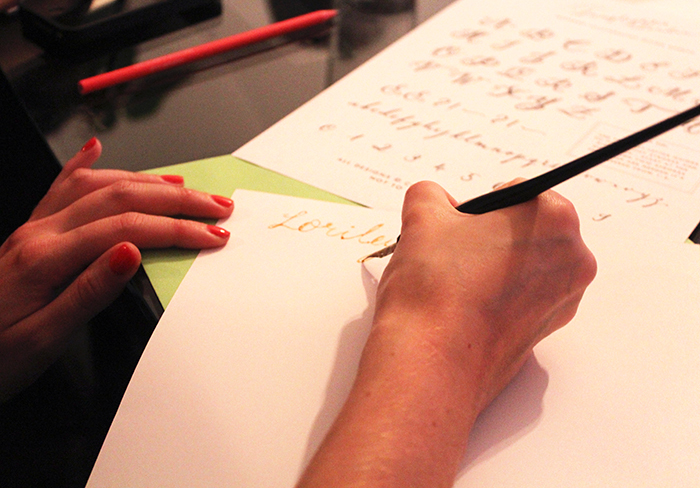 It was nice to see lots of familiar faces at the event, including Loriley, [check out Loriley's delicious gluten-free food blog here], who happened to have a knack for calligraphy, unlike myself! 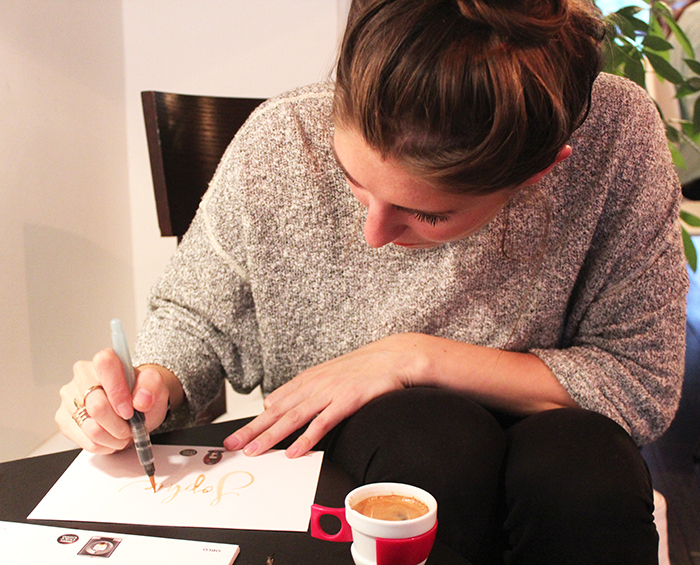 Ciara demonstrates how calligraphy should be done! 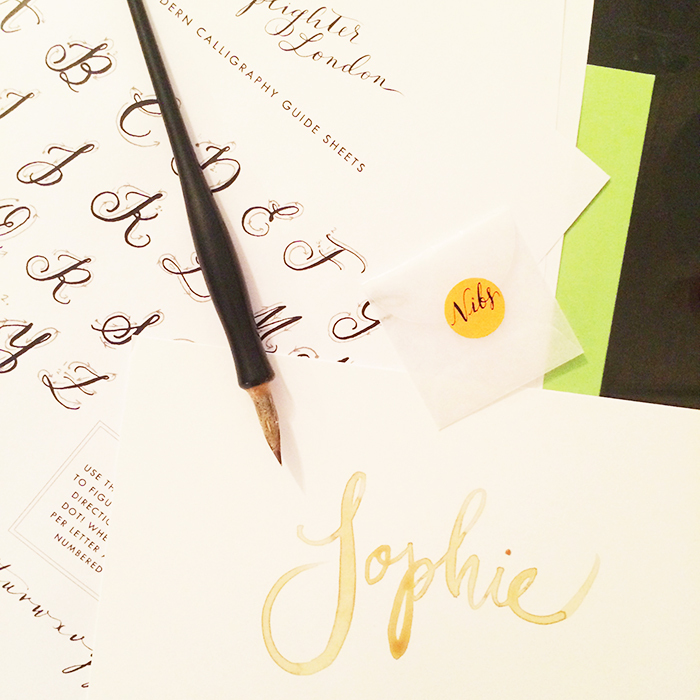 Despite lacking the required artistic flair, I really enjoyed the calligraphy tuition, it was a proved to be a therapeutic activity for a mid-week evening. I'd like to say a big LFF thank you to the team for organising such a fun evening! Nescafe Dolce Gusto have recently added two new chic models to their range of coffee machines - the angular Oblo and the curved Jovia. Learn more about the Nescafe Dolce Gusto range here.